Mix all dry ingredients in one bowl . Mix wet into another. Combine wet to dry until well mixed and then place onto a lined baking sheet . Bake for about 22 minutes. Pull the trays out, stir everything around, and place back in the oven for another 15-17 minutes or until the granola looks crispy. I usually eat mine with fresh berries and homemade almond milk . 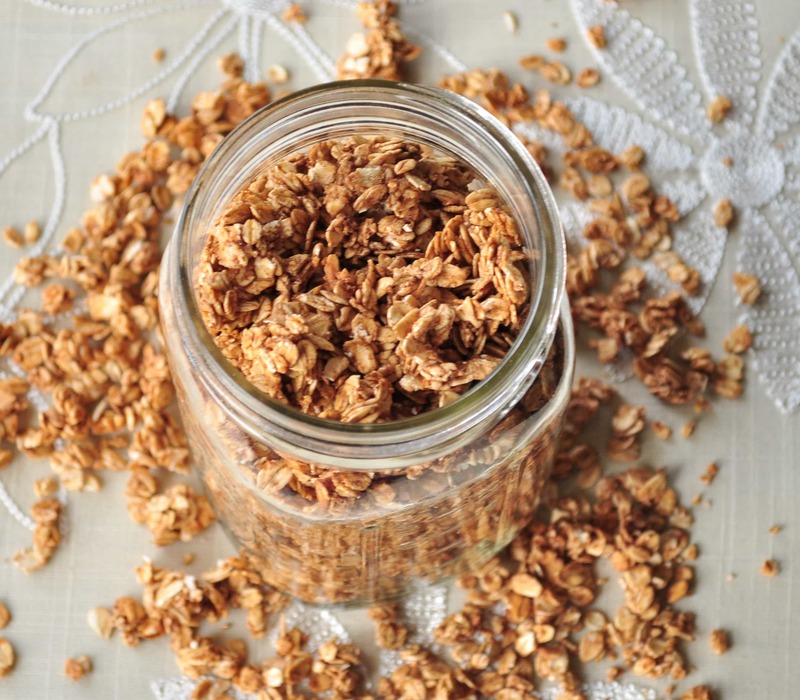 This granola would also be good sprinkled over some vegan yogurt. I hope you enjoy it as much as I do. © 2012 My Whole Food Life. All rights reserved.